 Flexi-Coil Australia’s brand leader, Steve Mulder, says Flexi-Coil is proud of the innovation behind the new 60 series. “Flexi-Coil is thrilled with the award. The 60 series air cart really is a game changer,” Steve says. Steve says growers were interested to see the 20,439 litre 5560 air cart on display this week, which features an easy to operate fast fill conveyor with remote control for increased productivity. 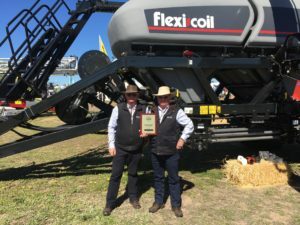 “What is really exciting about these machines is the new FlexRate™ sectional control, which allows you to individually control up to 10 sections of the air cart, giving greater application accuracy and control than ever before and eliminates double application of seed and fertiliser,” he says. Also on display at Dowerin was Flexi-Coil’s 70-ft 5500 air drill. The 5500 range now includes an 80-ft model, which Steve says is the brand’s biggest yet and can boost planting productivity by 33 per cent. The 5500 has a unique configuration consisting of two front ranks, which follow the contours of the land at a depth set by the nearby castor assemblies, and two rear ranks, which follow the ground the press wheels run on. This allows it to achieve exact and repeatable sowing depth. East Coast croppers can see the 5500 air drill and 60 series air cart at Henty Machinery Field Days, 20 to 22 September 2016.